Attorney General Jeff Sessions has been talking to members of Congress about using DNA testing to verify whether children crossing the southern U.S. border are biologically related to adults they arrive with, or if they are being smuggled into the country by human traffickers, Tony Perkins, President of the Family Research Council. “Sessions is talking to congressional members and is hoping for a legislative fix,” Perkins said, adding that the DOJ would like to see “just, fair and enforceable” immigration policies. To that end, “They are looking at how to use DNA tests in the field to verify they are parents and not traffickers,” according to Perkins. Sessions told Perkins “We know for a fact that a lot of adults taking children along are not related to them. [They] could be smugglers. They could be human traffickers. It’s a very unhealthy dangerous thing and it needs to end. We need to return to a good lawful system,” Sessions told Perkins on his broadcast. In other words – 80% of migrant children are separated from their parents when those parents choose to send them across the border alone or with human traffickers. 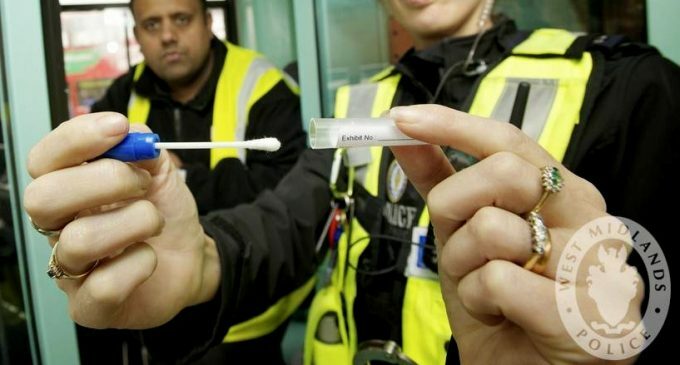 As for collecting DNA, we can only hope that this is not just another government ploy to build a giant DNA database which starts the “normalization” of mass DNA collection while digital privacy rights and data security are woefully lacking. The post Sessions Proposes DNA Tests For Border Migrants to Prevent Human Trafficking appeared first on MintPress News.